“I am watching the footage of the FBI searches of Russian foreign missions and I think that this is some kind of hellish clownery [which is] stupid, illegal [and] meaningless,” Zakharova wrote on her Facebook page. "What for?! To show all the power of the American special services?” she said. 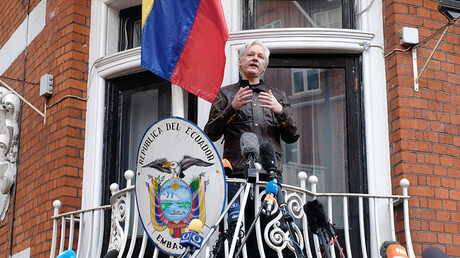 Searches of the consulate in San Francisco and two auxiliary offices in Washington and New York began at 2:00 pm local time, after the US State Department ordered the foreign ministry on August 31 to vacate the premises by September 2. The FBI arrived in at least two vehicles to search the San Francisco Consulate. The minute the deadline expired, agents entered the Russian-owned diplomatic property, which in 2016 alone issued more than 16,000 tourist visas to American citizens, according to the consulate’s statement. 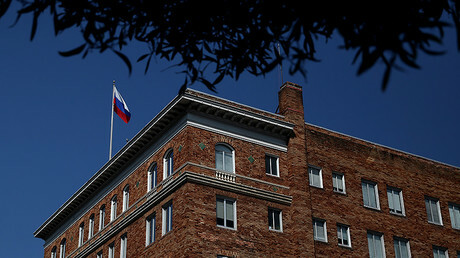 One video posted online shows FBI agents examining the apartments section of the Consulate General of Russia in San Francisco. Another video shows FBI agents trying to gain access to the attic or the ventilation system. Video released by the Russian Foreign Ministry of its building in Washington also showed an FBI presence. The video was accompanied by pictures showing completely empty rooms inside the trade mission building. The Russian Foreign Ministry also released videos showing US authorities conducting an “examination of the premises” at the Russian Trade Representative Office in Washington. Ahead of the searches, Russia summoned the deputy chief of mission of the US Embassy in Moscow to lodge a note of protest over the plan to search the trade mission in Washington. “In a nutshell, we are witnessing such a vivid example of vandalism in the system of international relations, the raiding and seizure of Russian property abroad,” the head of the Russian trade mission in Washington, Alexander Stadnik, told RT’s Ruptly video agency. “We certainly did not expect such uninvited guests and they were not welcomed,” Stadnik said, adding that their work continues. 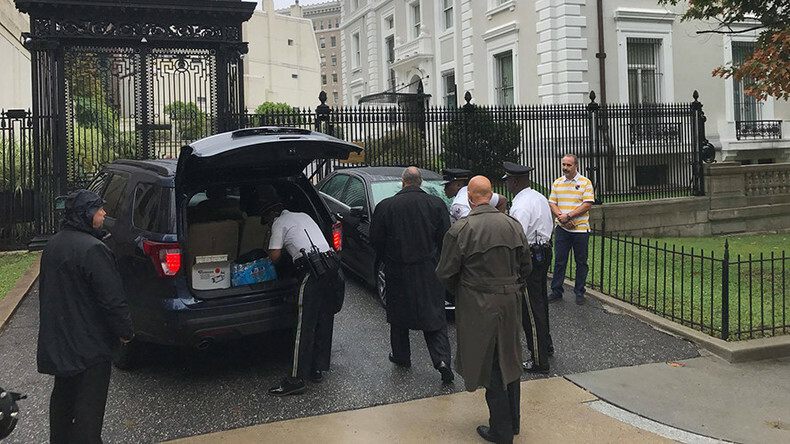 No videos of searches conducted in New York City were released by the ministry, but people were seen going in and out of the Consulate-General prior to the arrival of the search team. A diplomatic row between Russia and the US started in December 2016, triggered by former US President Barack Obama, who expelled 35 Russian diplomats and confiscated two Russian diplomatic compounds. It followed allegations by the US that Moscow had meddled in the 2016 presidential election – a claim that Russia has strongly denied. At that time, the Kremlin denounced Washington’s actions as a “witch hunt,” but did not take any retaliatory measures, as it was hoping to restore relations with the US under the incoming president, Donald Trump. The issue regarding the Russian diplomatic property confiscated in December 2016 was, however, never addressed by the Trump administration. In July, the US Congress adopted new legislation that limited President Trump’s ability to formulate foreign policy towards Russia by barring him from easing sanctions on Russia without congressional approval. The new legislation also imposed new sanctions on Moscow. In response, the Kremlin ordered the US State Department to reduce the number of personnel in Russia and to bring it in line with the number of Russian diplomatic staff in the US. Moscow also ordered Washington to suspend use of a warehouse and a suburban residence in the Russian capital by US mission staff.